Robert Niederl presents his new work as part of the Vienna Art Week, again with make-up artist Sophie Chudzikowski. Pictures in which he captures undisguised beauty in a magical moment. The exhibition invites the observer to explore a reduced view of the human nature and seeks the direct contact in a timeless moment. Sensual & intense, reduced & expressive. 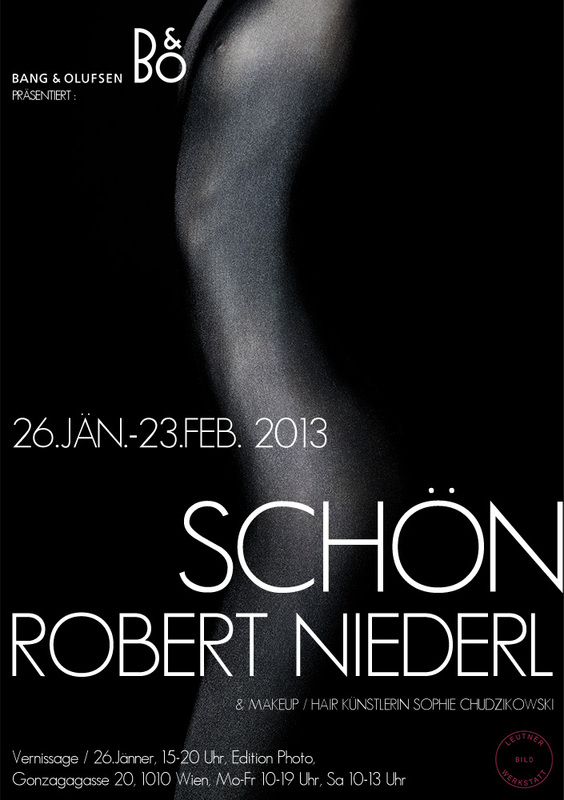 Robert Niederl presents his exhibition Schön within the Edition Photo (B&O Design Lounge), a first-time collaboration with make-up artist Sophie Chudzikowski. Captures of a moment that captivate you.